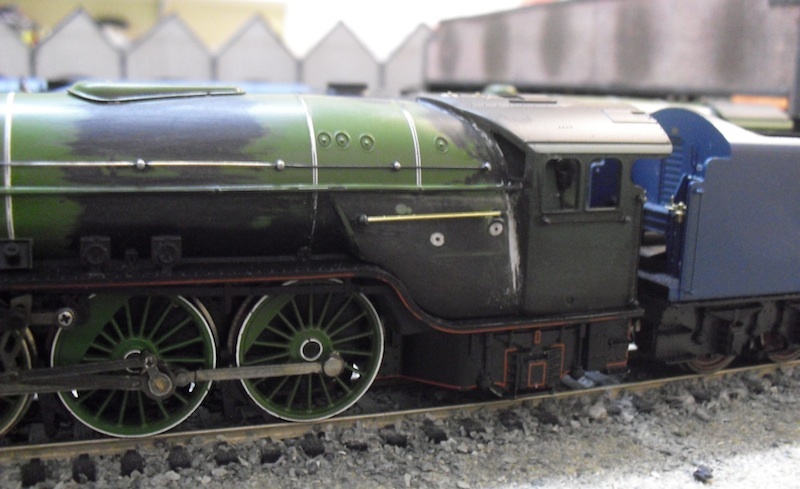 In a change from the wonderfully satisfying A4 conversions - which can be done in a few hours, spread over a week, my current long term project, 60503 Lord President, has had a few changes this morning and test fitting of components. 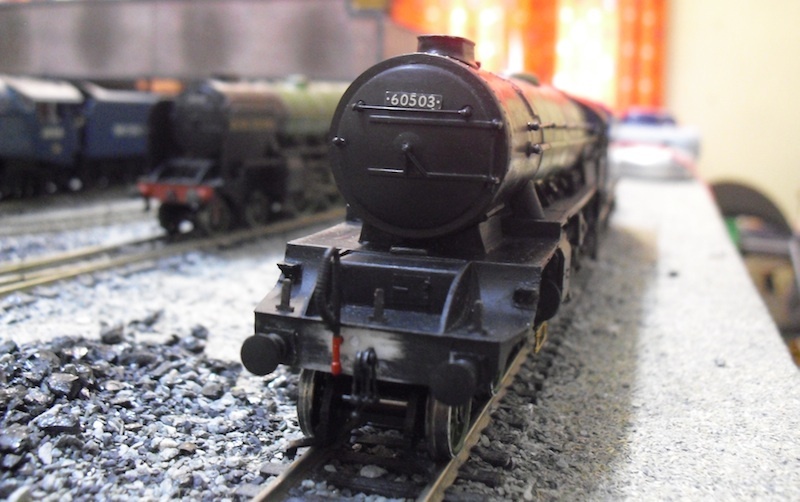 The vacuum pipe and new coupling have been test fitted to the bufferbeam along with the buffers. Nothing has been stuck down or painted, and all will in all likelihood, be fitted after final painting and lining. The one thing which eludes me at present is a firm statement either way confirming or denying the colour of the buffer shanks in 1949. I had thought that the LNER would have kept painting these black, but the photographs I have of 60503 I can't make out if these are red or not. It seems to depend entirely on the locomotive concerned in 1949. I have found other Pacifics, A3s, with either red or black, and the A2/3s all seem to have had red. 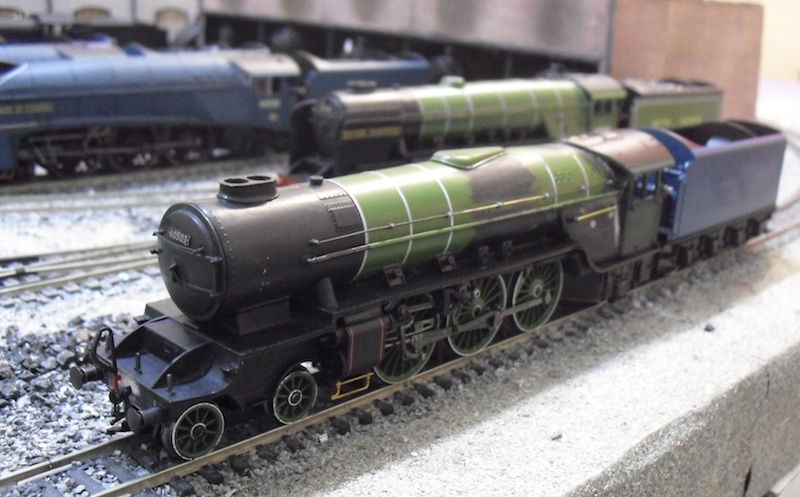 60506 Wolf of Badenoch, however, definitely has black buffer shanks in 1949 as seen in Power of the A2s, so I am wavering with 60503 and leaning towards black buffer shanks. The next change was the addition of handrails on the cabs, and the longer handrails on the firebox sides - correct for 60503 in 1949, but not for 60501 or 60504 as far as I can see. 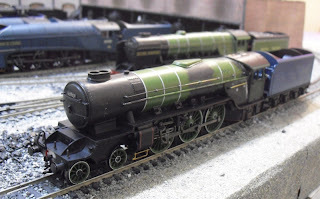 I have not yet removed the washout plugs, and the reason for hanging fire on this is that Graeme King is currently working on a sheet of etched components for his conversion kits, which will cover A2/1, A2/2, A2/3, and A1/1 along with some other items for the remaining Pacifics of the LNER. Having seen a few pics on the LNER Forum, I can state happily that the parts look well worth waiting for, so for the moment 60503 is going to have a nice rest from being hacked about until I can finish the job properly! So that's all for the moment, but I will hopefully be making further modifications and finishing this model in the not too distant future. 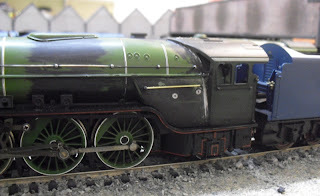 "The British Railway Stories - Episode 18"
"Identity Change! 60028 Walter K. Whigham"